wow so its been a while since i posted, how do i even begin to start? I was granted sales permission by rachelled on 9/3/12. Each kid is $9.50 shipped within the USA, and $10 shipped outside. There is a $0.50 discount for each additional kid purchased. Please let me know if you'd like some of these new kids! Hey everyone~ Hope everyone's getting their Christmas trees up if you can! Earlier this month, I had gone to a flea market and found a bin of these still in package. I've kept the ones I want and decided to offer some to the comm! crazy zukan GB last call and DISCOUNTS for the last few claims! All claimed! WE HAVE 12 HOURS TO PAY! Thanks to everyone who participated! **I will be claiming the Fossil set! Hey guys I'm back with some more sales and I took a good look at my collection and weeded some things out. 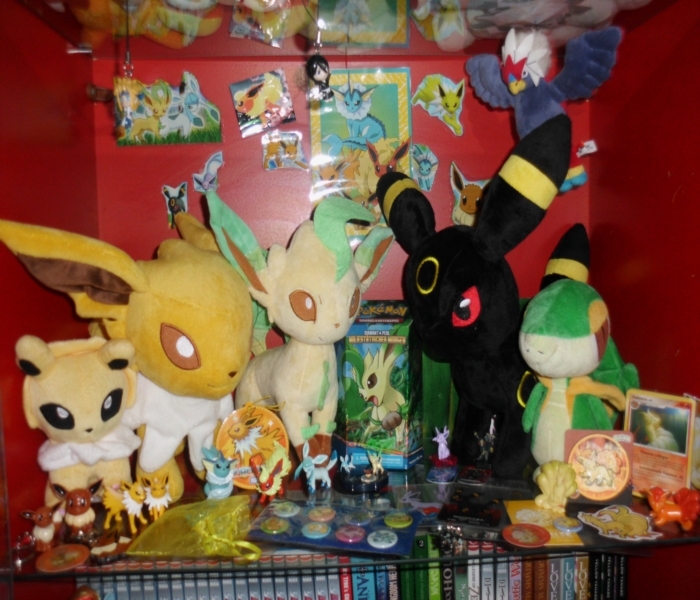 This includes my trainers collection (N, Cheren, Cynthia), some Pokedolls like a Dragonite Pokedoll, Rotom Pokedolls, and seriously just a TON of stuff I want out of my tiny room. EDIT: forgot to add my wants! So these Retsudens just arrived from FromJapan, and I couldn't help but snap some pictures! I actually have had quite a few Retsudens arrive lately, but I wanted to give these their own post since they're exceptionally uncommon and really pretty neat. I also have a little story about a bit of a grail stamper! Thanks for reading! I'll leave you with Iris's commentary. Hello, everybody. Wish you have had a nice week. 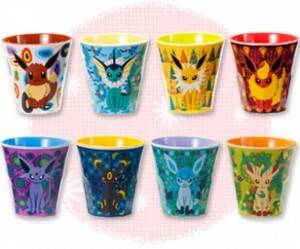 I have updated my sales post with lowered price, and have added many Battrios which include the ones of Eevee's family. Everything is for straight sale. Please come and take a look. 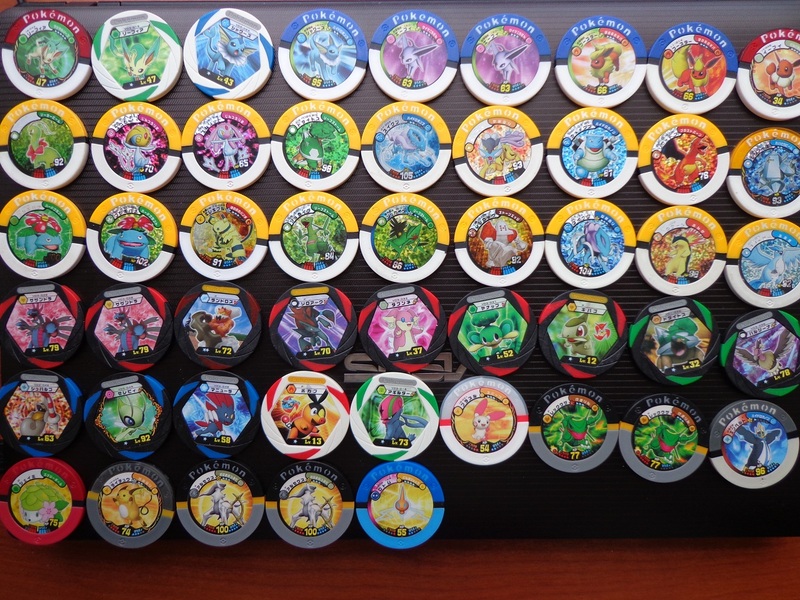 I have also had some pokeball and superball battrios, which can be found here if you are interested in. Just mention it and your offer in your quote. They are not as popular as the ones exhibited so basically I can accept any reasonable offer. These have been listed in the same sales post! Click the picture to see the prices and bigger picture if you are concerned about the item conditions. 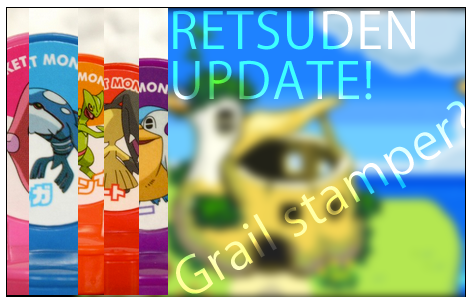 The Milotic Retsuden Stamp has a BIN price of $5 due to the die down interest and status of it. It still has but little ink with it, but you can get a rose pink ink pad for reuse. Thanks for your reading. Wish you have a great weekend! 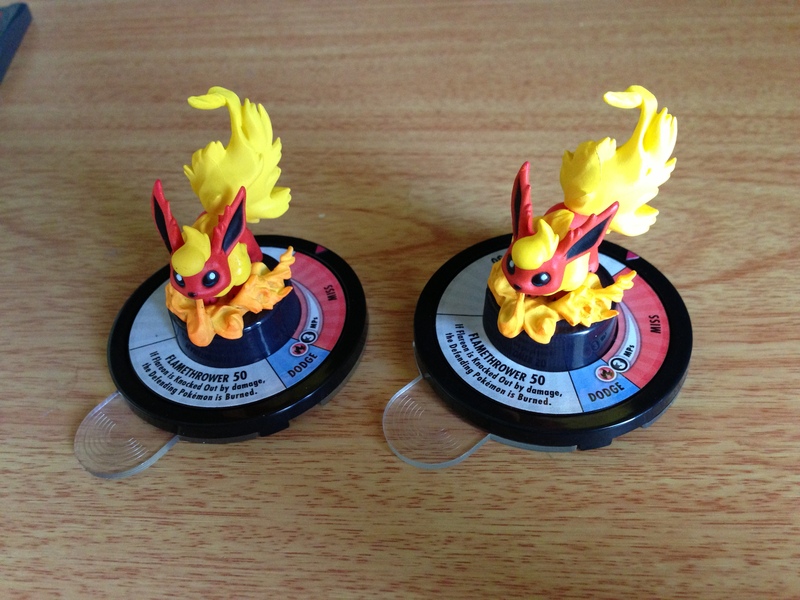 Hello community I have two Flareon TFG for sale! Each will be $120 shipped to anywhere in the world! If you have any offers feel free to throw them at me. Thanks for looking. Sales permission granted by dakajojo on 9/25/11. Collection Update and Exciting News! I finally have both shipments from Gin now, and let me just say, every penny was worth it. [Wonder what it could be?! 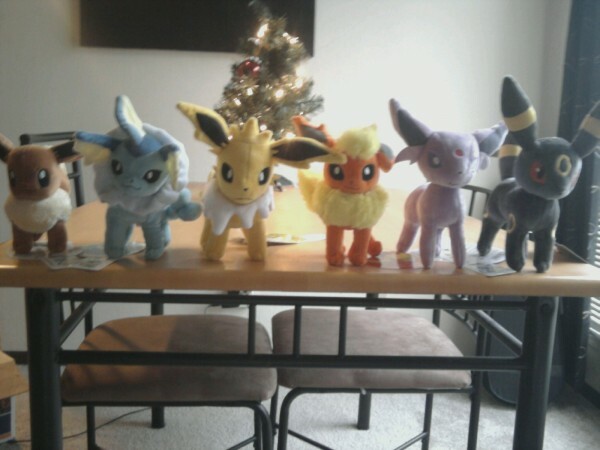 ]For starters I now have most of the PokeCen Eevee collection plushes minus Leafeon and Glaceon. My fiance isn't a part of this community, but he has fully supported me with my endeavors and I'm so happy to have him :) It happened about a week ago, i've just been waiting for my other package to get here so I can actually post something relevant haha. Anyways, that's it for now! Have a wonderful day/evening everyone! EDIT: Thanks for the congratulations everyone, and also I forgot to post it originally, but here's a link to my collection website! 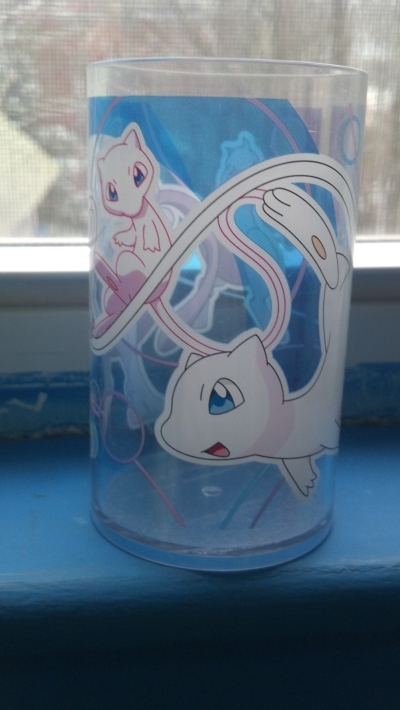 Eeveelu Tumbler Group Buy - Payment 1! Hey everyone, atlantia_rai has received the invoice from Noppin, so it's time for payment 1! With fees and shipping to Noppin, the cost is $14.52 per tumbler. ends tomorrow december 2nd at 4pm EST! I'm selling a ton of things, many of which are $1 or less. I am also selling the TOMY recall Charizard and Blastoise. If certain items are priced way higher than they normally are, I might be willing to haggle. 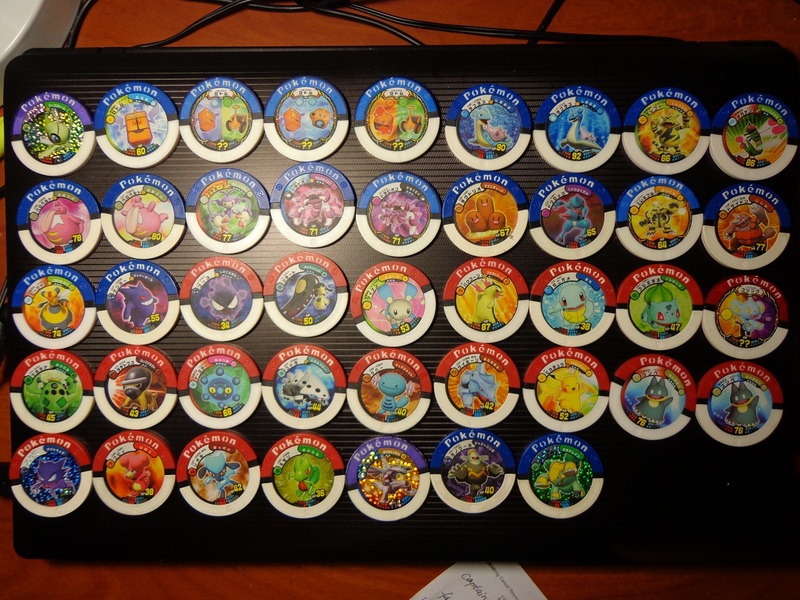 Hi pokemon collectors! I have added some things to my shop because I am slowly weeding out my smaller collections of various pokemon. 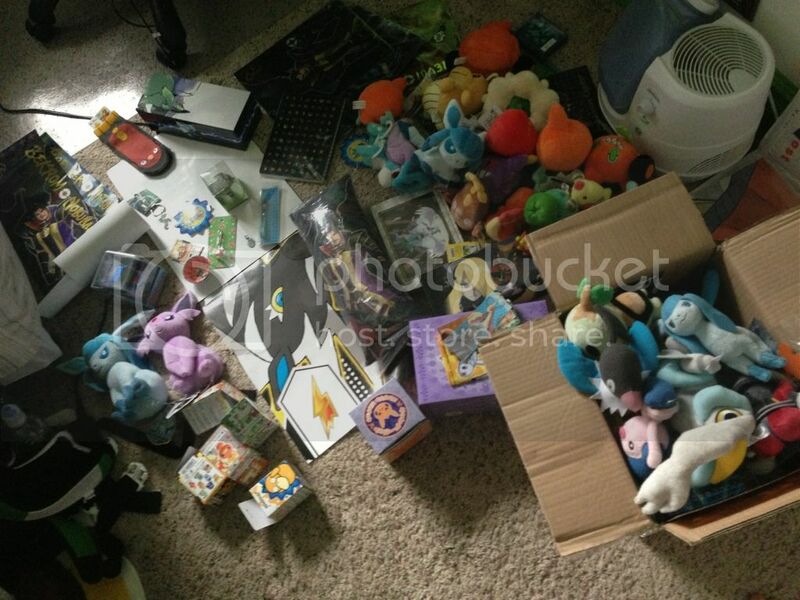 Some things I have added are a Chandelure and Lampent plush, some Gabite evolution items, and various other figures. 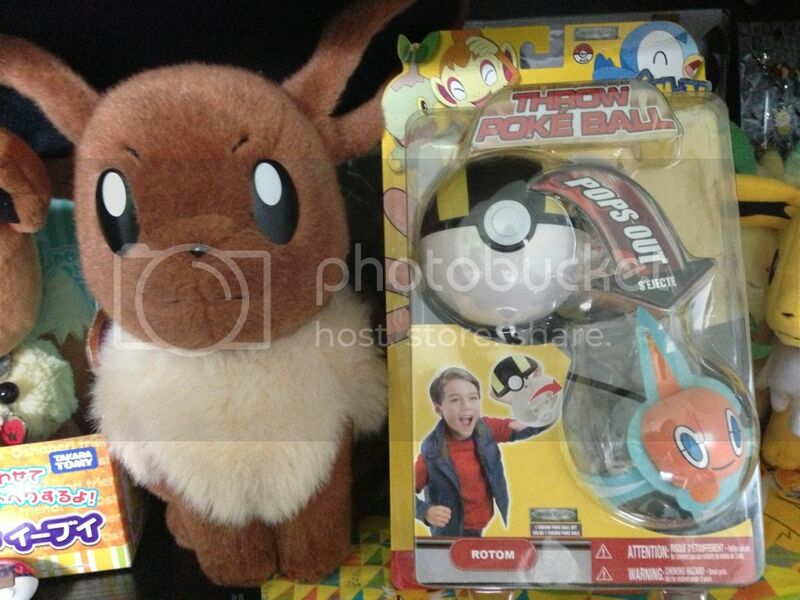 There are still plenty of other items such as Pokedolls and other assorted plush of darkrai, meinfoo, darumakka, and scraggy. 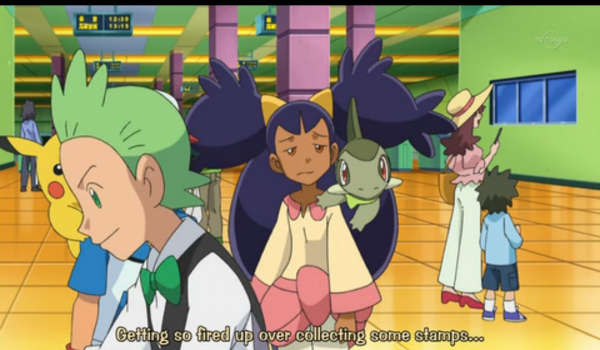 Also, I have been searching for a misdreavus halloween plush. If anyone knows where to buy one, please let me know. Thank you! Ok guys i am super happy with my awesome new gets i cant think what to put as a intro so ill just skip to the good stuff. 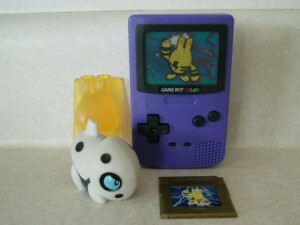 The Gengar zukan Back in April when i had just start collecting ghost zukans and all i had was a EU Rotom line and Mismagus line I never thought i would ever get the Gengar line just 8 months later i would like to thank lady_lara for hooking me up with my grail..
NOW JUST 1 ZUKAN LINE LEFT (Shuppet and Banette) and just like with the Gengar line 8 months ago i did not think i would be a this point. Hello community! I haven't made a community post since I first joined, but that's because I wanted to wait until I was done receiving some goodies so I could post about them all at once. 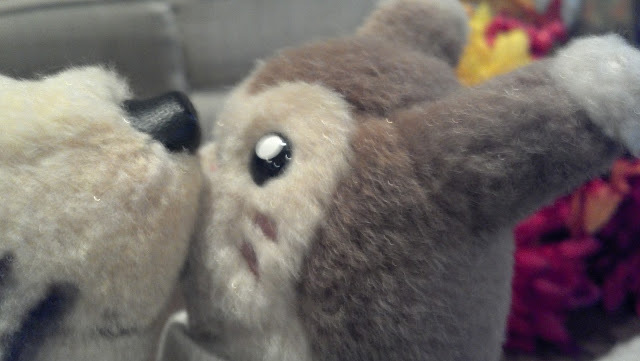 :3 I would also like to inquire for a get, and inquire about what it's like to sell stuff to the community. I've never officially sold anything to anyone before. I know how to get sales permission and all that basic stuff, but I am still scared about it. :X So this is going to be a pretty big post, be prepared! So first! The new members to my collection! Shiny Mewy Eeveelution Fund Sales! 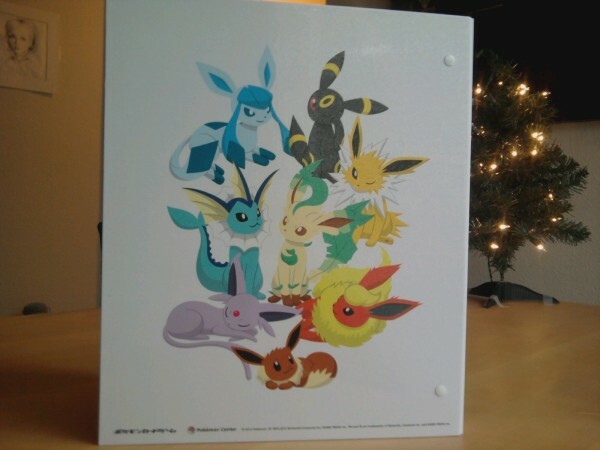 I've joined the fad in needing funds for eeveelutions! D: Anyways I've updated the sales with Mew/Mewtwo/and collection weeding items (such as a few new SHINY kids) :3 come take a look to my new sales! The prices for these are just ballpark for what I've generally seen the plush go for. I'm willing for partial trades as well! 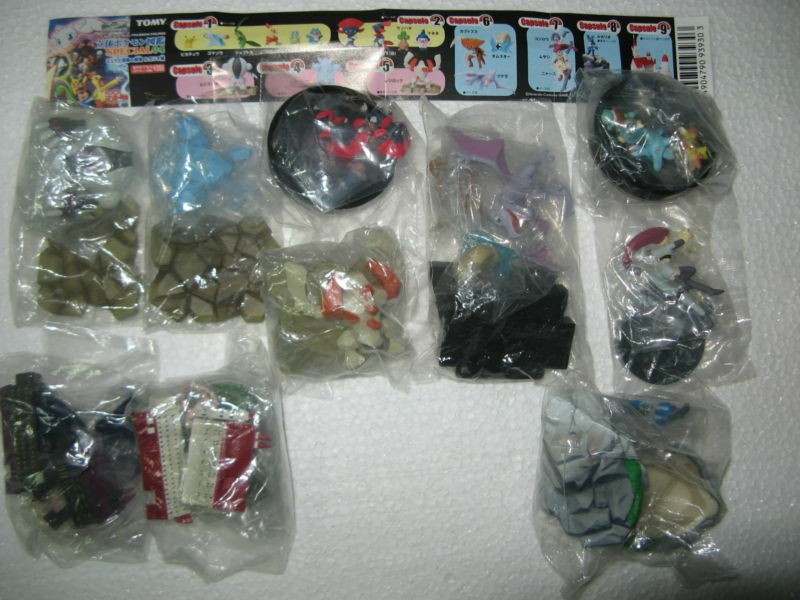 I have 3 pokemon playsets too (not pictured), Inquire for pictures. Just pay shipping and they're yours! I got a box from Japan today, so I thought I'd do a update on a side collection! Major Vulpix Want, Bianca Want, and Cute Pictures! 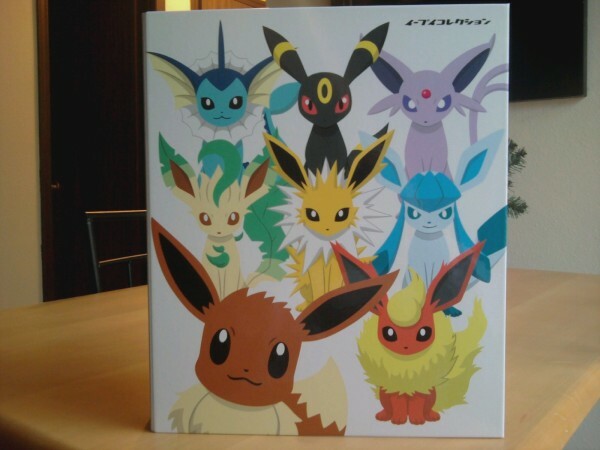 I would really love to buy a Vulpix Canvas from someone. If you have one that you would like to send to a loving home, I would love to give it one! 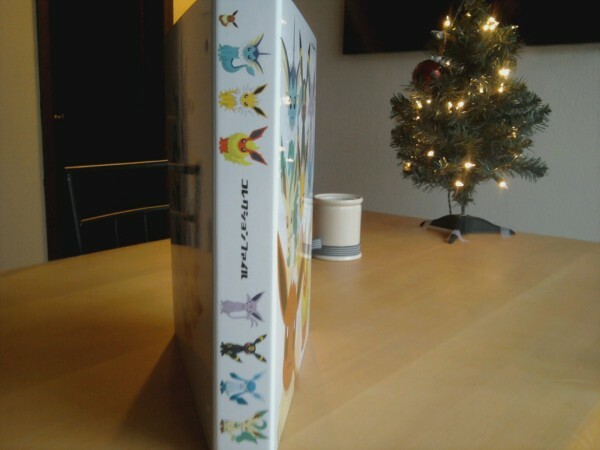 <3 (Image is from someone on Amazon UK and is not mine.) Also, I'm not picky about tags. Detached or missing tags are fine, as long as the plush is in good condition. Got Vulpix! Thank you everyone! who helped! Also, since I like to post cute pictures along with my gets/wants (I think it helps make my posts more interesting for the comm at large, but if you'd rather I stop this, please say so. I don't want to be annoying. ;. 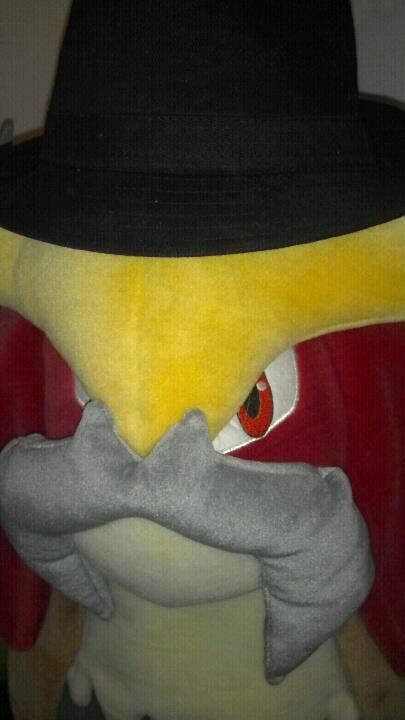 ;), I took a picture with my less-photographed plush around my little Christmas tree!